Submitting someone for a medal is one of the most satisfying things a supervisor can do. Not only does it express your appreciation for someone who deserves it, the person who was recommended is happy that someone recognized their efforts and took the time to make the recommendation. And recommending someone for an award makes you look good. It demonstrates that you're taking care of your troops. And finally, the Commander is happy. Both with you, for being a top-notch supervisor, and about being able to hand out an award. Commanders love to present awards. It makes them look good and they're happy to have an opportunity to show their appreciation for their troops. The judicious award of medals is good for morale all around. If you haven't submitted someone for a medal before it might seem like a confusing process but it's not really that hard. The process is the same for everyone and consists of a few simple steps which are outlined in the applicable reg. 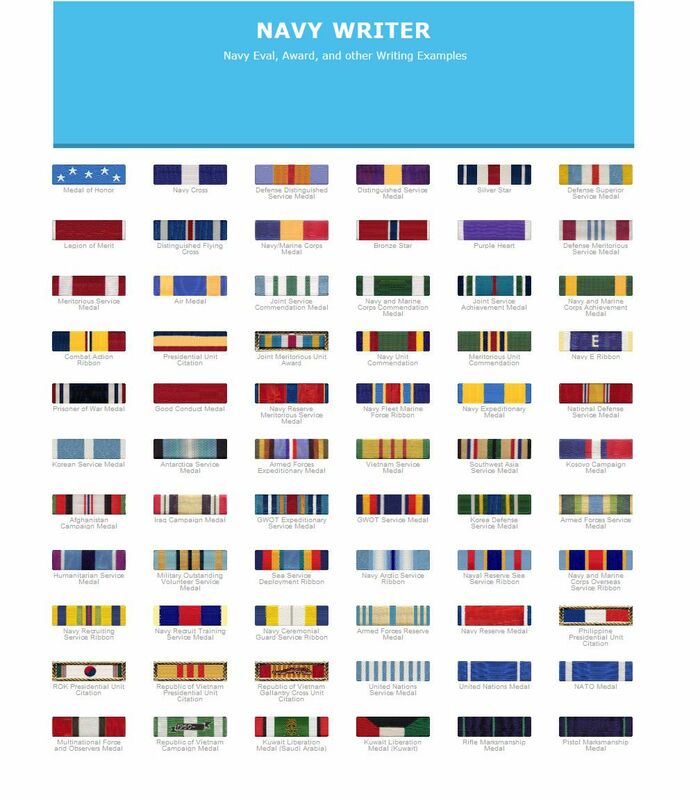 See the links to the right for information on specific medals. 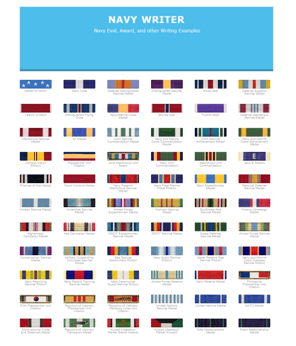 If you have a medal package or citation you would like to contribute, please email admin@navywriter.com or submit using the form below.